Milk Chocolate Foiled Bee's. Chocolate Store, the online candy store with chocolate and candy. 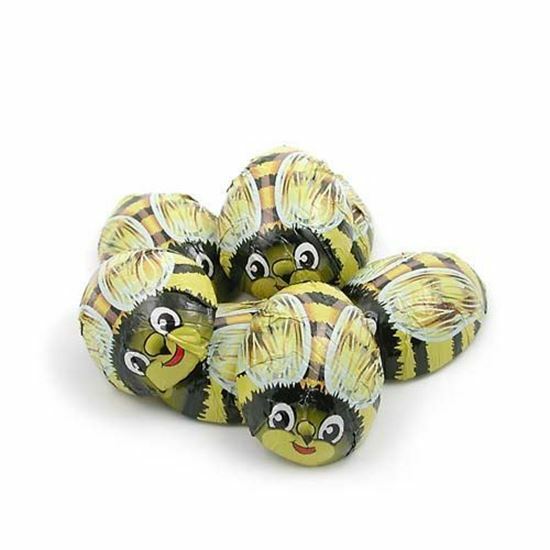 Milk Chocolate Foiled Bee's Stylish little milk chocolate Bumble Bees, foiled in the proper Bee colors. Perfect decoration or favor for many occasions. The best thing about our bees is they are much too sweet to sting. Each piece is about 1.5 inches long and weights about 1/2 oz.